Posted July 7th, 2014 by & filed under Submitted, Surprise Poops. I pooped in the conference room. Again. The Moose is a 2 year old terrier mix rescue. 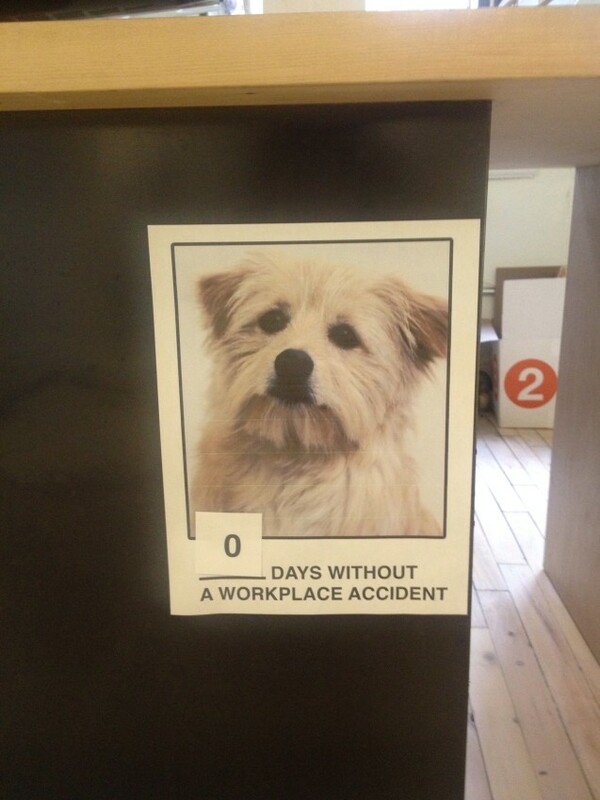 He comes to work at our production company but he doesn’t always behave. His favorite is finding a quiet spot and pooping in it. Posted July 6th, 2014 by & filed under For the Birds, Submitted. This is Ramona Quimby, a 3 year old Hunt Terrier. No food is safe from her no matter what kind of container it’s in! Posted January 31st, 2014 by & filed under Car Corruption, Litter Box Bandits, Submitted, Vomit Comet. 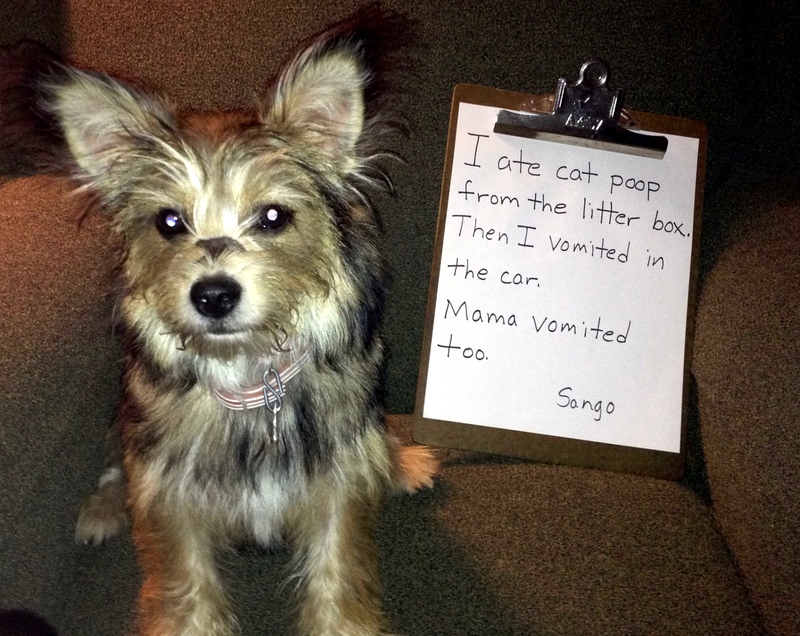 Sango, a terrier mix is sitting on a green chair. The sign reads, “I ate cat poop from the litter box. Then I vomited in the car. 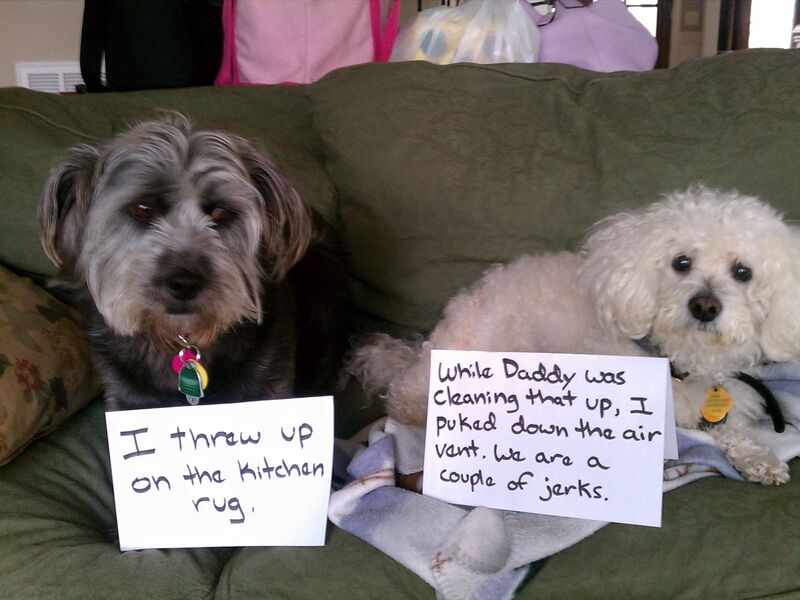 Mama vomited too. 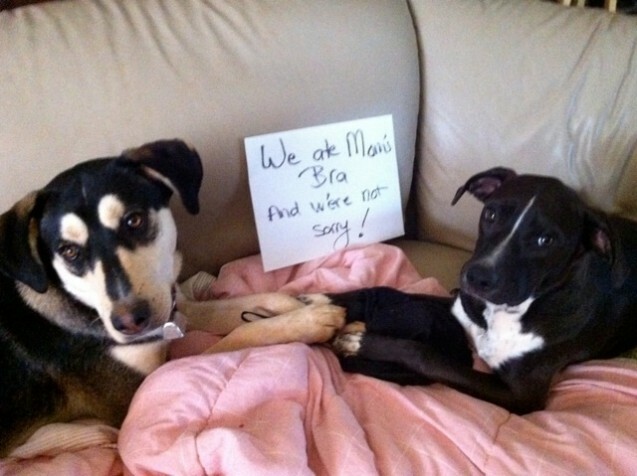 Posted June 26th, 2013 by & filed under Double Trouble, Submitted, Underwear Snatchers. My errant pound puppies, Skeeter and Bean, were discovered playing tug of war with HALF of my favorite black bra. The other half has not been found. PLEASE ADOPT! Visit your local shelter and meet the love of your life. 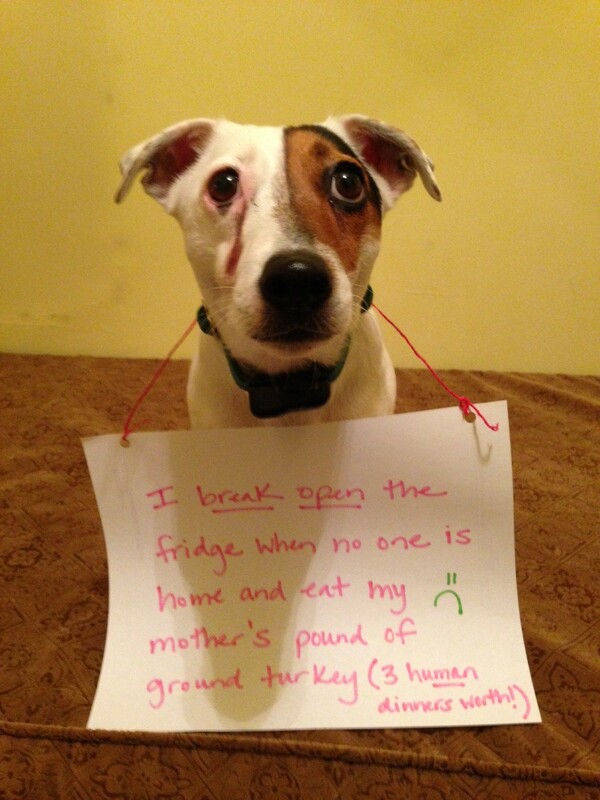 Posted June 12th, 2013 by & filed under Hide and seek, Pilfering Pooches, Submitted. They keep buying them, I keep destroying them…. Posted June 4th, 2013 by & filed under Submitted. This is Gracie. Her one true love in life is food. 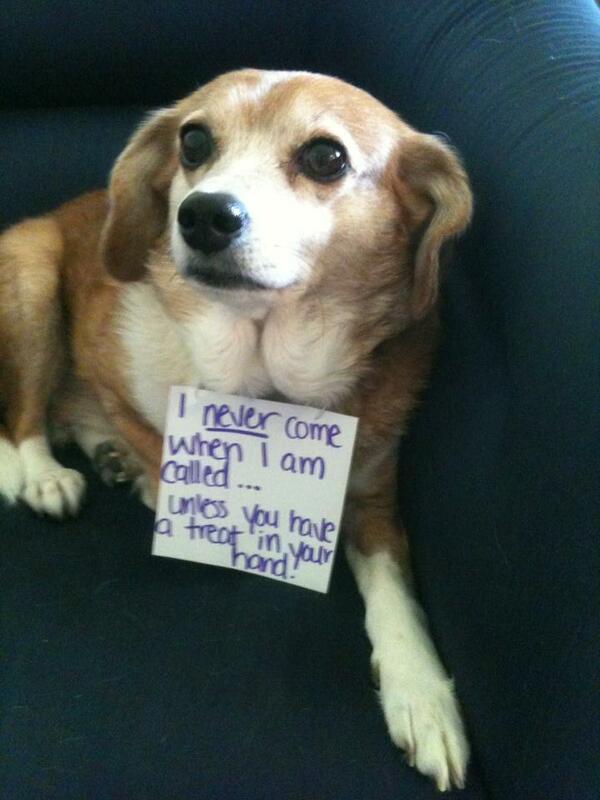 I can call her 50 times and she won’t budge and will act like she’s deaf. However, as soon as I say “treat” she comes ecstatically pouncing over to me as if I’m her long lost child that has been missing for years. Posted June 2nd, 2013 by & filed under Double Trouble, Submitted, Vomit Comet. Saturday didn’t start out so well. 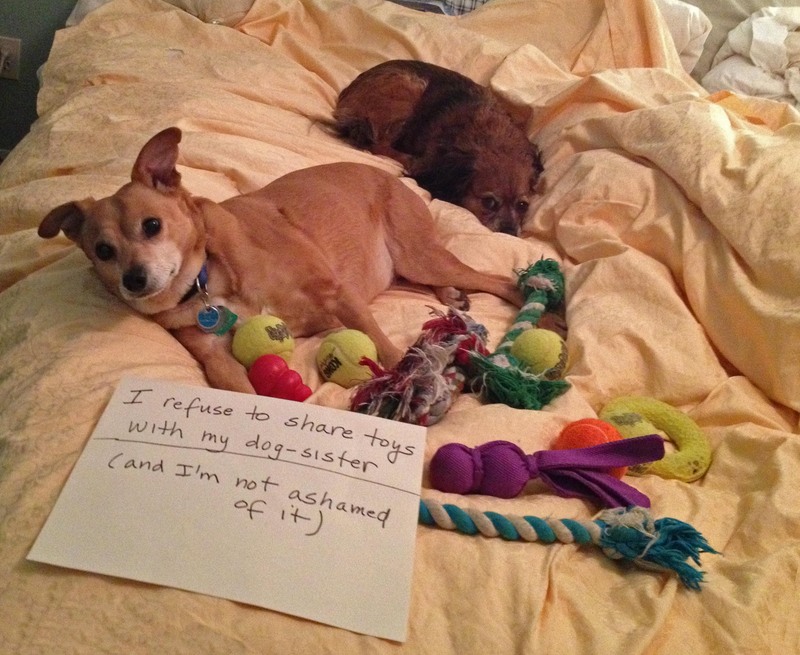 Annabelle, 5, a terrier mix, and her sister, Josie, a twelve year old bichon, decided to stand together and both trash the kitchen. Hopefully there will be no long term odors from the air vent incident. 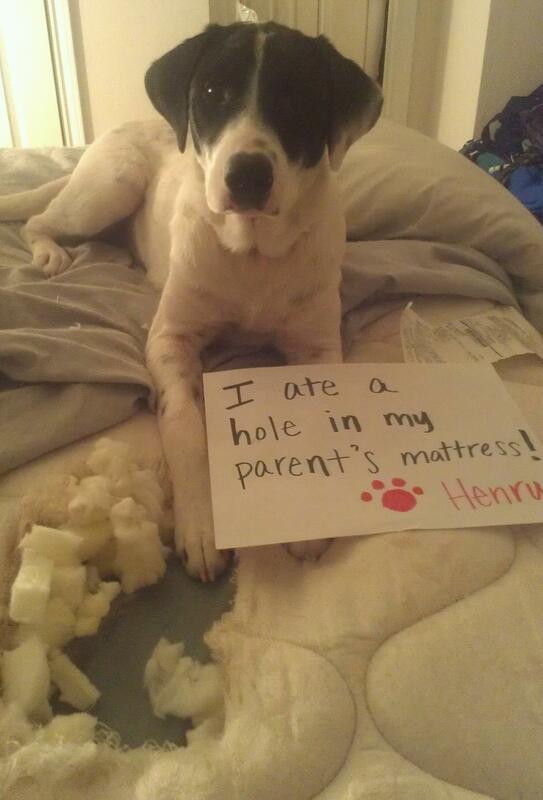 Posted May 27th, 2013 by & filed under Pilfering Pooches, Submitted. Jack hogging all the toys his little dog sister brings to the bed. 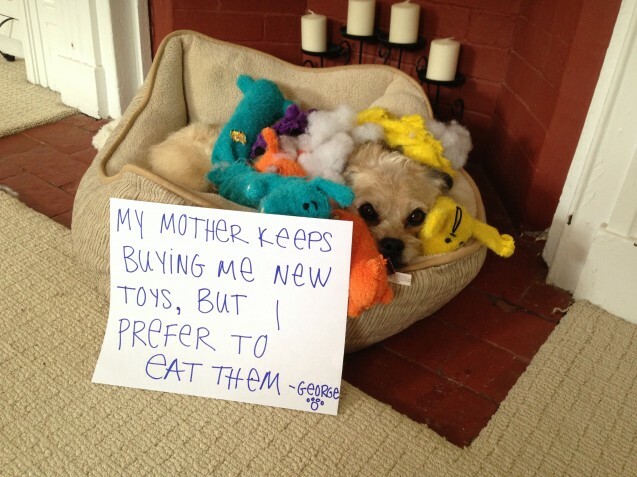 Posted May 13th, 2013 by & filed under Pilfering Pooches, Submitted. 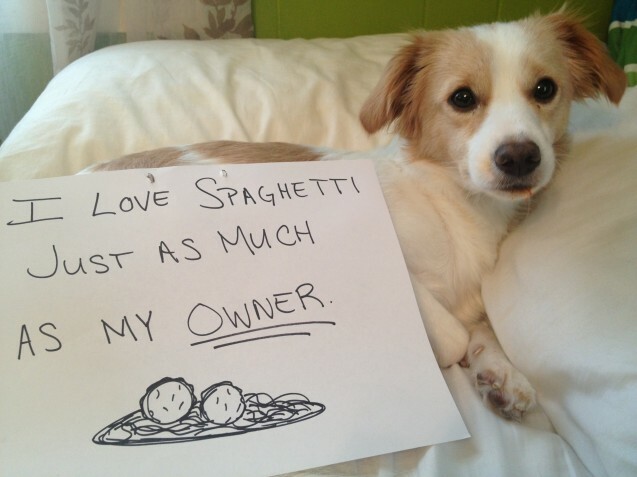 I love spaghetti just as much as my owner. Posted May 11th, 2013 by & filed under Renovation and Redecoration, Submitted.